The following vendors are offering free delivery to the MSBA Annual Meeting on October 13th. Space is limited in their trucks so call or place your order online ASAP! Betterbee – deadline 5 pm on Monday, October 8th. Order by phone or online. Must pecify pick-up at MSBA meeting and include your mobile # in website comment section. Brushy Mountain –Due to unforeseen circumstances Brushy Mountain will not be present at the Annual Meeting. If you pre-ordered merchandise it will be shipped to you free of charge. Anyone else attending may call in an order over to the office by 10-31-18 to receive a 10% discount, with plus free shipping for a total of $150 or more. You must mention that you attended the state meeting to get the discount. Mann Lake – deadline is 4 pm on Thursday, October 10th. Order by phone at 800-880-7694 Specify pick-up at MSBA meeting. 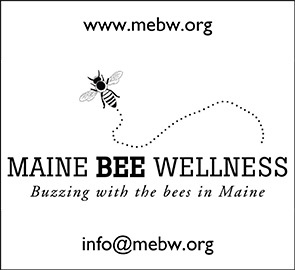 Vendors located in Maine may be willing to bring orders; contact them directly: Humble Abodes, Swan’s Honey, and The Honey Exchange.